Southern Highlands - Click Virtual Tour to move from room to room. Come See This Beautiful Home! MLS#2087672. Urban Nest Realty. Bella Terra At Southern Highlands - Patio in back with putting green. WOW! ! 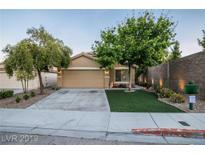 MLS#2087649. Desert Sky Realty. Castellina Southern Highlands - Beautiful Move In Ready 5 Bedroom Southern Highlands Area Home * Kitchen Has Granite Counters, Island W/ Seating, Pantry & Maple Cabinets (also In Baths) * Bed & Bath Downstairs * Large Open Living Space * Formal Dining * Wood And Tile Floors * Fireplace * Soft Water Loop * Walk-in Bedroom Closets * And More. 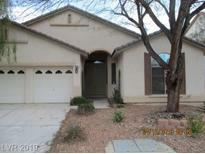 MLS#2087397. Elite Realty. Foothills At Southern Highland - Bed & bath down. 3 car attached garage. MLS#2086960. Realty ONE Group, Inc.
Cactus Hills South - Built in microwave, office area, loft. Large walk-in master closet. MLS#2086932. Signature Real Estate Group. Highlands Ranch - Flexible floorplan allows for traditional 3 story home lifestyle (4 bed,3.5 bath,loft) with massive 3rd floor loft(22x20) + 3 bedrooms(2rd floor) that can be used as a separate living area. MLS#2086511. United Realty Group. Laurentia At Southern Highland - This home is a MUST see! MLS#2086647. Love Local Real Estate. Cactus Hills South - Up graded one of the most popular KB floor plans in a gated community with low HOA and low Property taxes brand new stunning PLANK VINYL floors through out the home even the stairs MLS#2086995. 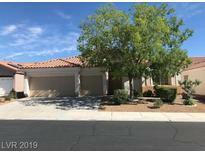 Realty ONE Group, Inc.
Belmont Park - Designer's Dream, Summerlin Paseos Beauty, Strip/City/Mtn Views, Highly Upgraded, Cul-de-sac/Corner Lot, Largest Belmonte Model, Approx 3934/Sf, 6 Bedrms Include Lower & Upper Master En Suites, 5 Baths, Lg Open Great Rm, Gourmet Kitchen, Ge Monogram Stainless Appliances, 2 Laundry Rms, Den, Loft, Fans, Tile, Shutters, Alarm, Most Furniture Included, Master Balcony, Cov Patio, Paver Walk/Drive, Cultured Stone, Iron Gated Entry, 3 Car, Plus More! MLS#2086173. Award Realty. Resort Villas At Southern Highlands - Private Oasis Features Lush Landscaping, Pool/Spa, Outdoor Kitchen, Fireplace& Music MLS#2084295. BHHS Nevada Properties. Spacious Downstairs Master has En-suite bath. MLS#2085696. BHHS Nevada Properties. 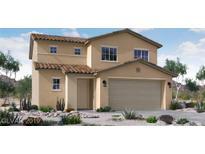 Royal Highlands At Southern Highlands - This home is a must see! MLS#2086492. Vegas Dream Homes Inc.
Beazer Souther Highlands - *single Story Home In Southern Highlands*open Floor Plan*fresh Interior & Exterior Paint*vltd Clngs W/ Fans*new Wood Laminate Floors*natural Lighting*2 Fireplaces*lrg Kitchen W/ Granite Cntrs, Breakfast Bar, Island, Ss Appliances & Dbl Sinks*lrg Bedrooms*patio Access From Mstr Suite*grdn Tub, Mrrd Walk-in Closet Drs, & Dbl Sinks In Mstr In Bathroom*pvrs In Back*casita/Guest Qrts W/ 1 Bed & 1 Bath*courtyard*low Maintenance Landscaping*2 Car Grg* MLS#2086796. Keller Williams Market Place. Beazer Souther Highlands - Yep it's a Fixer! Short Sale and facing foreclosure. 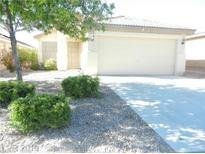 MLS#2086806. Black & Cherry Real Estate. 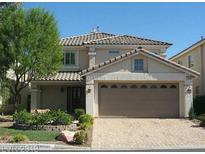 Dakota At Southern Highlands - Please note: Bonus room off of the master has it's own bathroom and closet. MLS#2085582. RX Realty. Castellina Southern Highlands - Master Bed, Living room, and Loft have brand new ceiling fans. All appliances stay! MLS#2085747. Urban Nest Realty. This Home Has Been Immaculately Taken Care Of. Come See It Today! MLS#2085781. Keller Williams Southern Nevada.